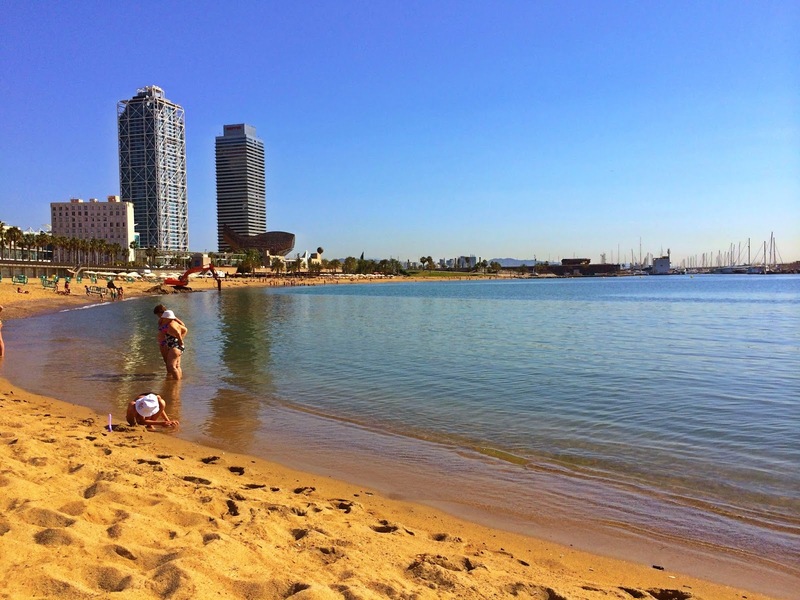 After places to eat in Barcelona and hostals in Barcelona, I've decided to write a short post about beaches in Barcelona. It's spring and soon it will start the 'beach season' do you have your 'bikini body' ready yet? :) If you have only a weekend, choose right .. you might get the wrong place and ruin your relaxing weekend... and don't ever settle for less. If you don't like...search another place which you will enjoy ... like I did. Second day, second beach - Somorrostro Beach is right next to Barcelonetta and it was less dirty ... we had a nice day there, on the golden and clean sand but still weren't completely satisfied.... So my friend and I decided to keep searching for a better place under the sun... and we found it! Third day, third beach Nuova Icaria ..That's it! 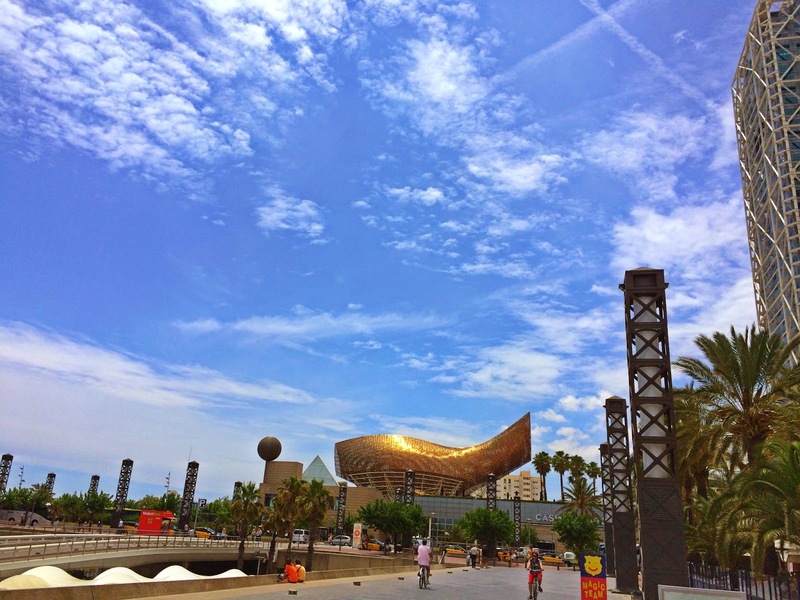 The Paradise of Barcelona! 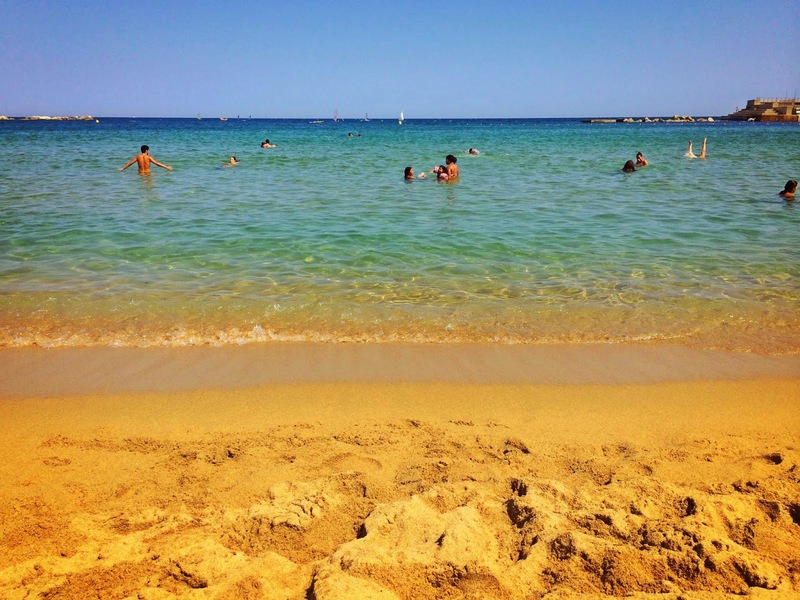 Nuova Icaria beach is definitely my favorite beach in Barcelona! It's clean, with very inviting crystal clear water, no beach shells under water and it has free wifi! I stayed on that beach for the next 7 days. 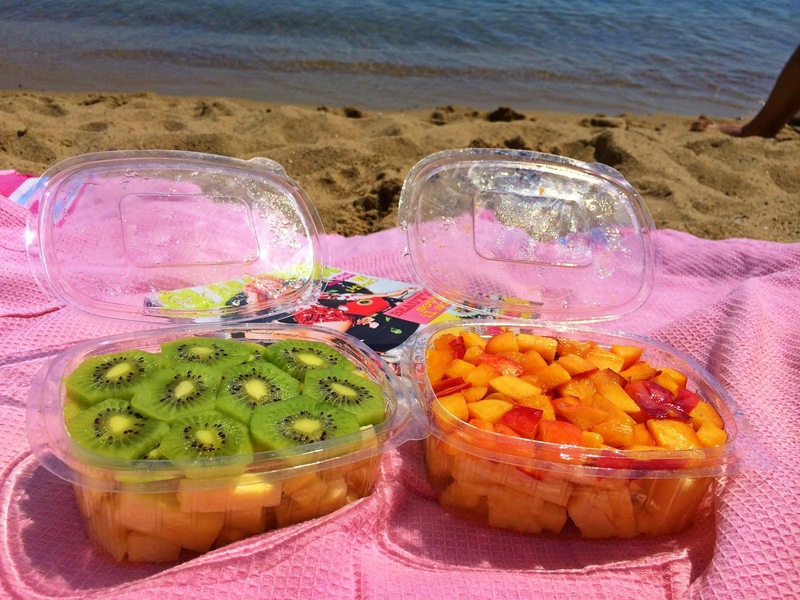 Beach, perfect water, fruits, music and magazines... Is there something more a girl in her 'relaxing vacation' could ask ?